What are we giving away free of charge? The best things in life are free and at VictoriaPlum.com, we couldn’t agree more, which is why we’ve always offered our customers at least one thing completely FREE of charge. If you haven’t already guessed, it’s our latest 148 page catalogue! It’s so easy to order your FREE catalogue. Simply click on the button below, fill out your name and address and we’ll pop it in the post as soon as possible. Why should I order a free catalogue? Shopping online is wonderfully convenient, however staring at a screen isn’t for everyone. As we know from chatting with our customers, many of you love browsing a good book at your leisure, which is why we lavish care and attention on creating an outstanding catalogue that provides you with everything you need to achieve the bathroom of your dreams. Shop by collection, product type or style and get the look with all our favourite style guides. 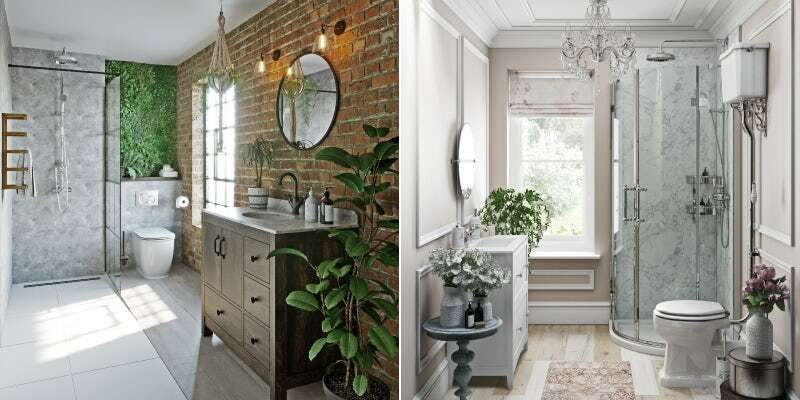 Work your way through our 6-step bathroom planner and avoid the pitfalls of buying a bathroom with our common mistakes to avoid. Plus, it’s one of the best books to read in the bath! In our latest edition, you’ll find a fabulous range of new and exciting products, featuring on-trend designs, colours and materials. 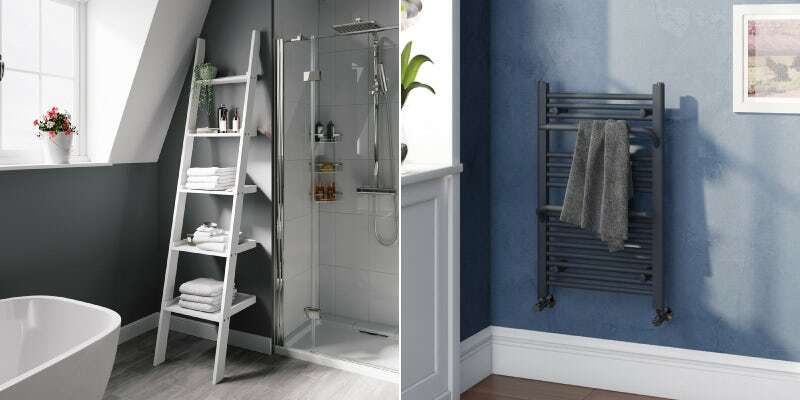 Take the new South Bank ladder shelving (pictured below), perfect for adding stylish storage, or the stunning Rohe heated towel rail (also pictured below) with handy extra hanging space. If you’re working to a budget, we’ve also expanded our high quality, low cost Clarity collection with a wider selection than ever before. As well as new products, we’ve also added even more inspirational “Get the Look” style guides, covering the latest interior design trends. Why not turn over a new leaf with a Tropical bathroom for the urban jungle or release the rainbow with a Colourful Creative design. If you’ve ever stayed at a swanky hotel, you’ll be well aware what a fitted bathroom looks like. Much like a fitted kitchen in most respects, fitted bathroom furniture can be built into your bathroom design along one wall, giving your space a clean and uniform appearance. You can also use 2 walls if space allows. 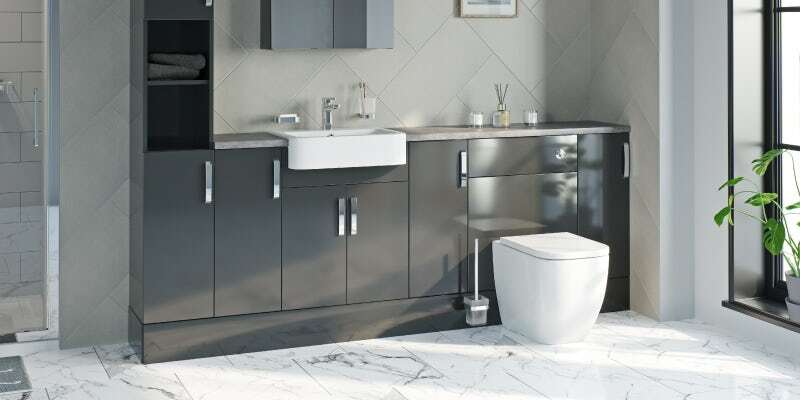 We’ve now introduced an even wider range of fitted bathroom furniture from the ultra-contemporary Nouvel range, available in on-trend gloss grey, to the more traditional Newbury range. Select units individually or pick a pre-assembled bundle for quick and easy installation. We’ll also show you how to get the look with less. Make the most of your small bathroom, ensuite or cloakroom with our expanded range of style guides. Including trending themes like Lagom and Tropical, plus firm favourites such as Soft Industrial and French Floral, you can make a big impact in your small space. It’s not often you get something for nothing in this world, so what have you got to lose? 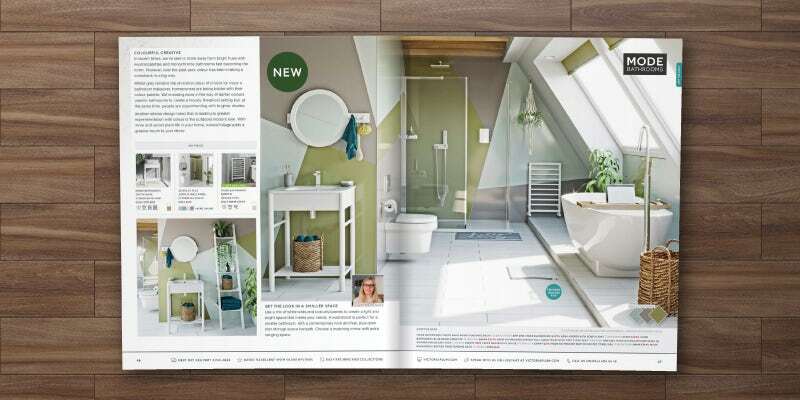 Order your FREE catalogue today and enjoy 148 pages of sheer bathroom bliss at your leisure. This guide will show you how easy it is to shop for your new bathroom online at VictoriaPlum.com. Many people find buying a bathroom or adding products to an existing bathroom a complicated and puzzling experience. In this blog post, we’ll examine the most common problems encountered and show you what you can do to overcome these. Whilst fitted furniture is most commonly associated with kitchens, fitted bathrooms are becoming more and more popular. If this is the look you're going for, follow our fitted bathroom furniture buying guide and get it right first time.